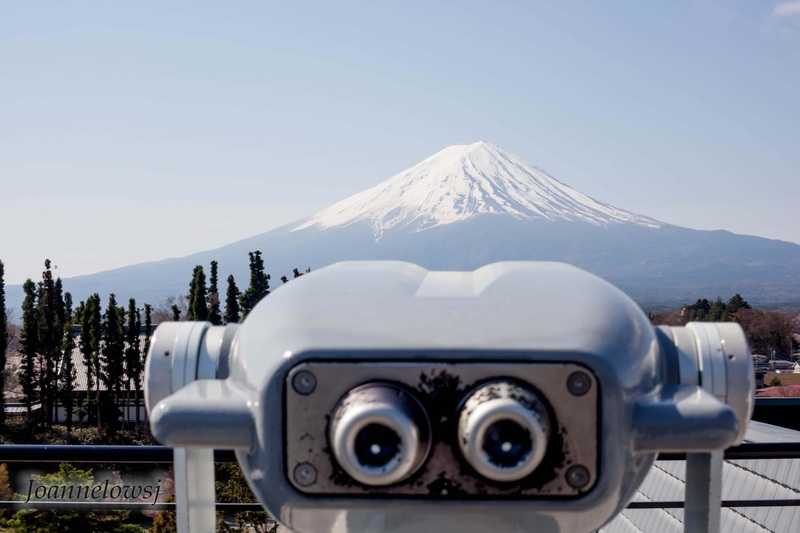 Japan - Tokyo, a favorite travel destination among many, has lots of things to offer. 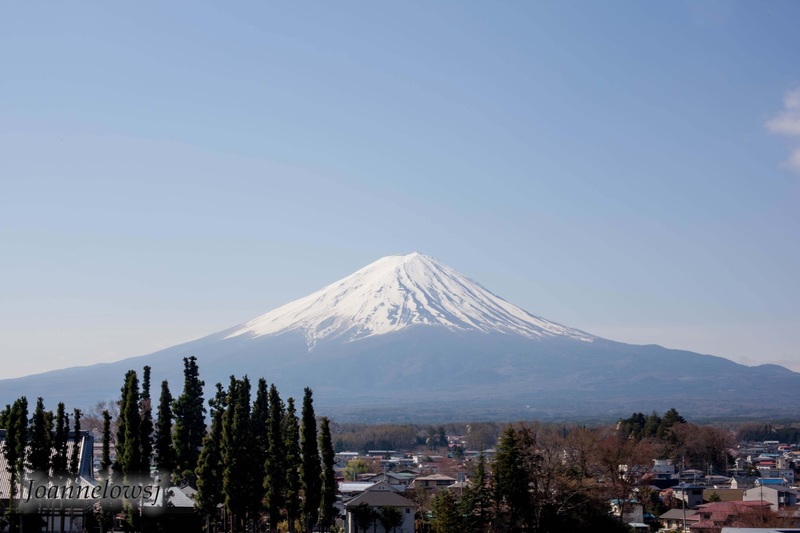 Besides having fresh sushi, one can visit the anime/manga-street, shop for the kawaii-overload goodies, taking a dip in Japanese Osen as well as visiting the gorgeous Mt Fuji. 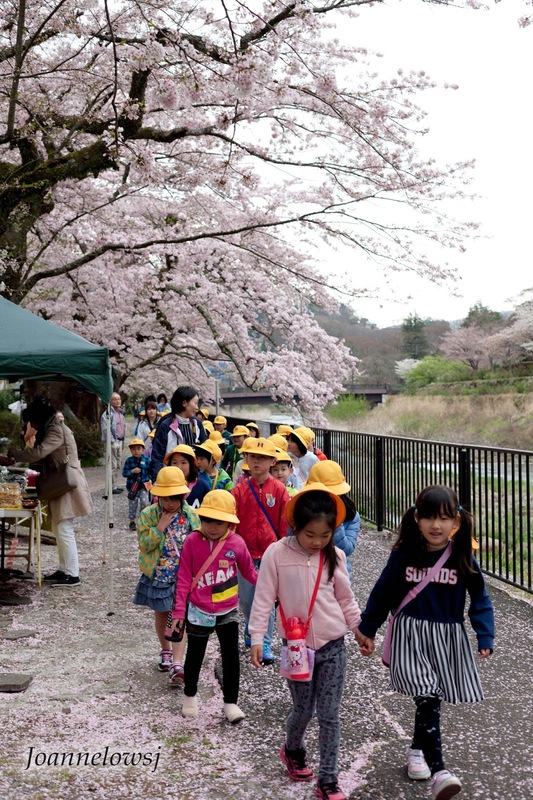 We were very fortunate to witness the blooming of Sakura (Hanami) because it had bloom before we arrived. So be sure to check out here for updates. 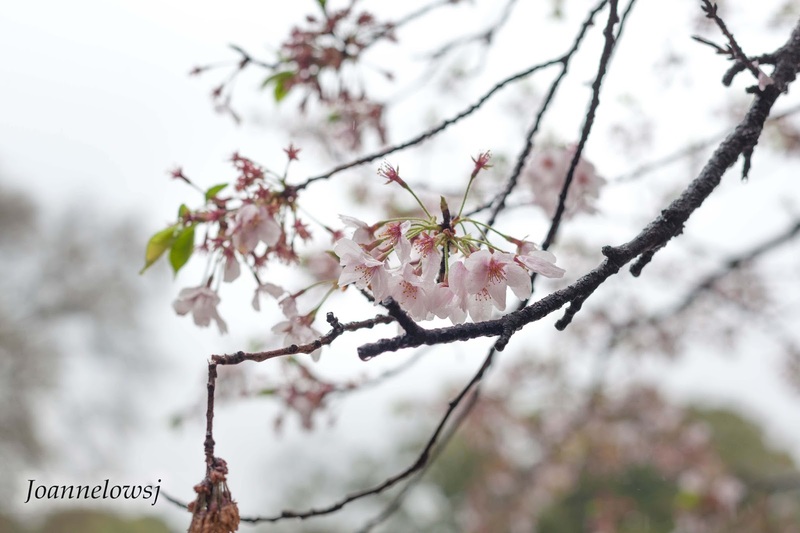 Nonetheless the chances of seeing sakura in spring are pretty high. 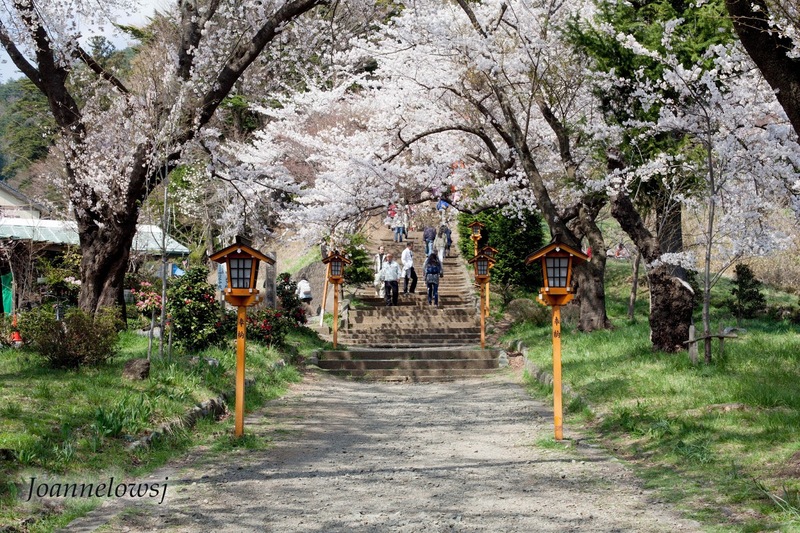 Blooming of Sakura starts from the South of Japan and slowly move upwards. 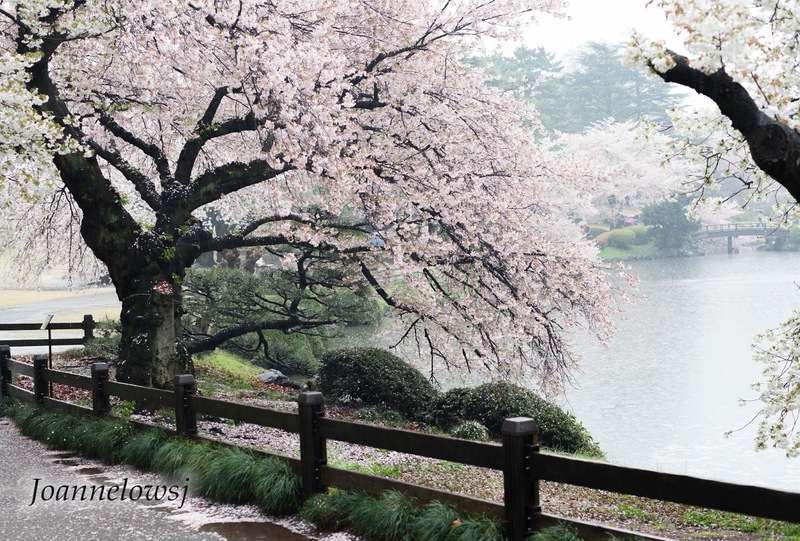 If you missed the ones in Toyko, one can always head up North of Japan for the Sakura. 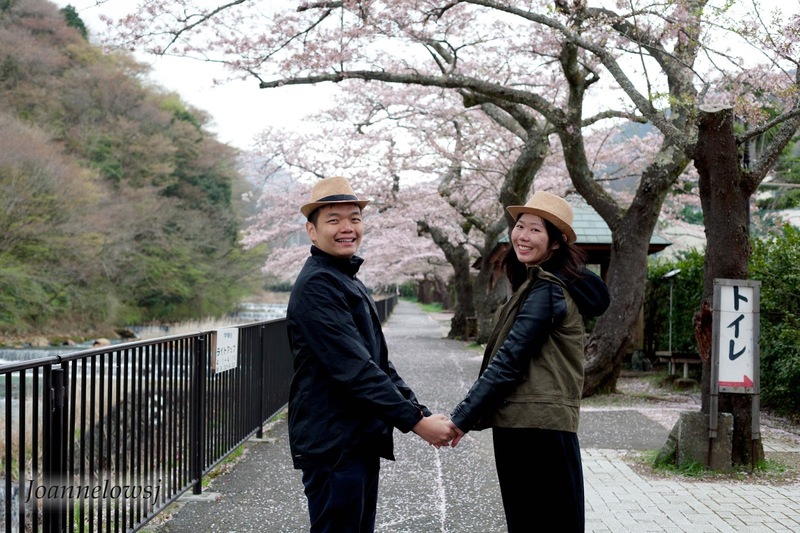 Together with my parents & H, we flew to Japan for a week to witness the beauty of Sakura. Below is the summary of our trip. We tried to group attraction that are near to each other for easy accessibility. 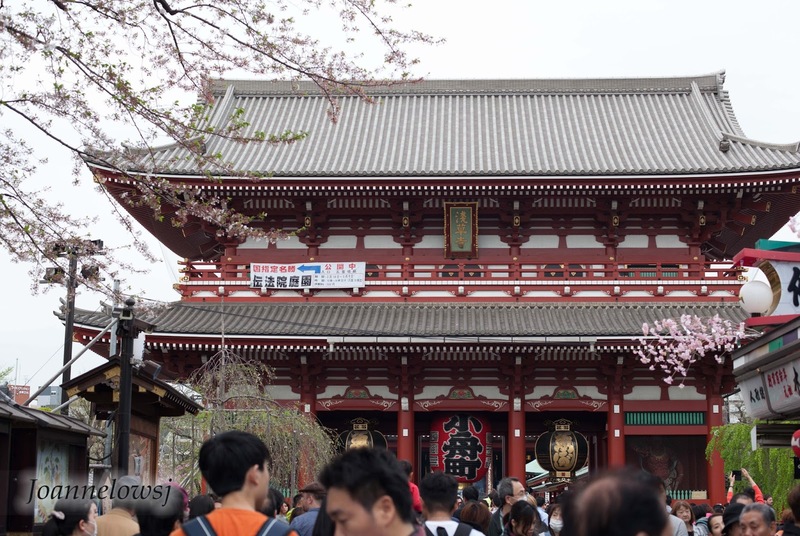 Here's 5 things you need to know before travelling to Tokyo & hope the summary helps! 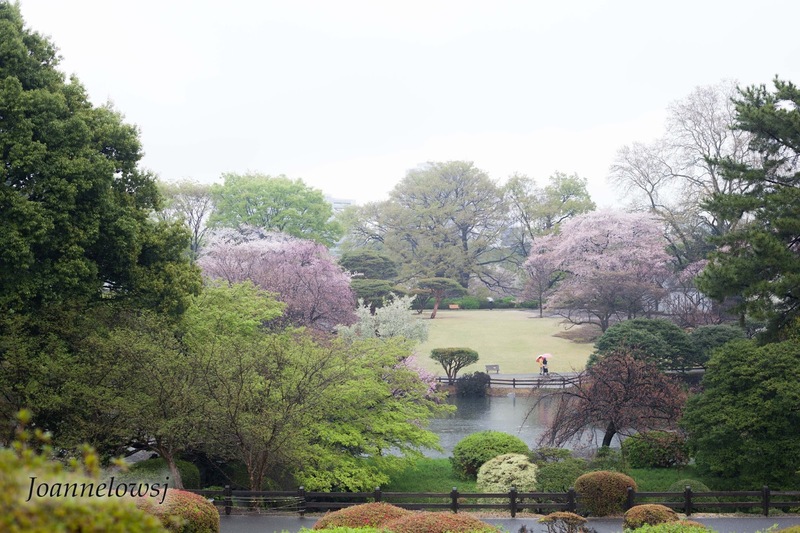 On our first day, we visited Shinjuku Gyoen to catch Sakura before they start to wither. 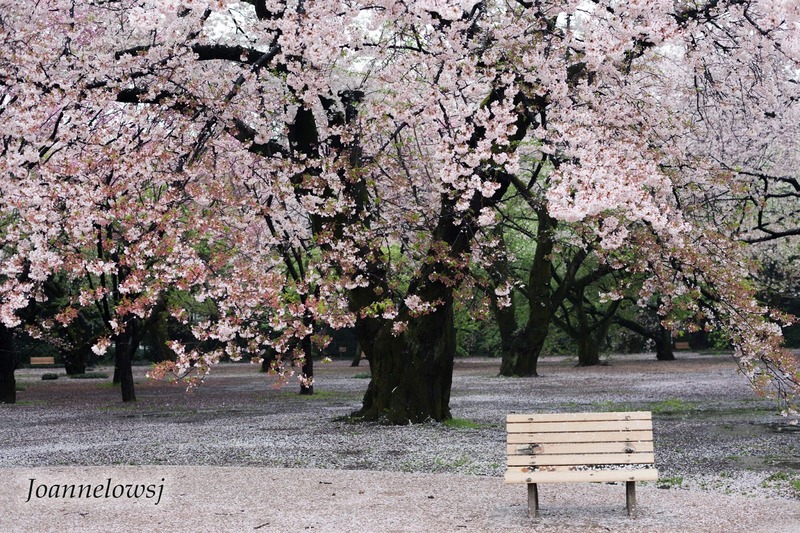 Voted as one of the best place to view Sakura, it truly lived up its name. 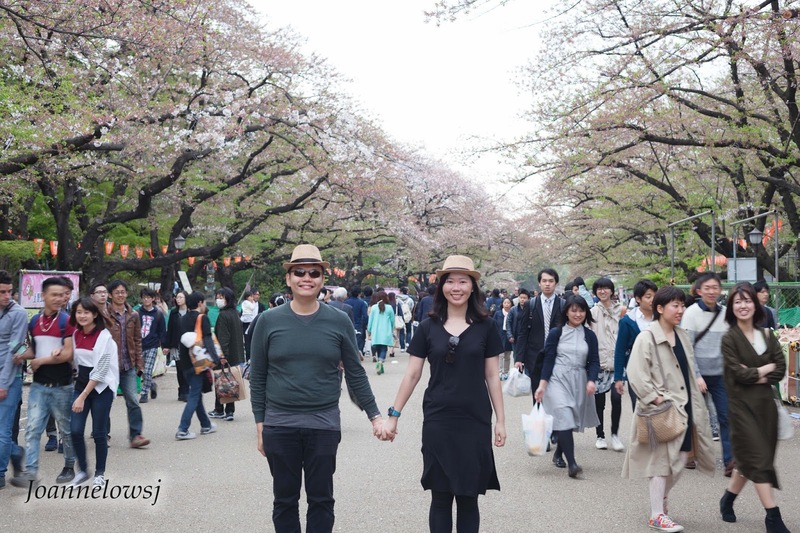 We bought food from market hall in Shinjuku station and had a mini-picnic session in the park. Although it had rain the entire day, it did not dampen our mood. Next, we head over to Aaoyama Flower Market for tea. The cafe is gorgeous and smells good too. 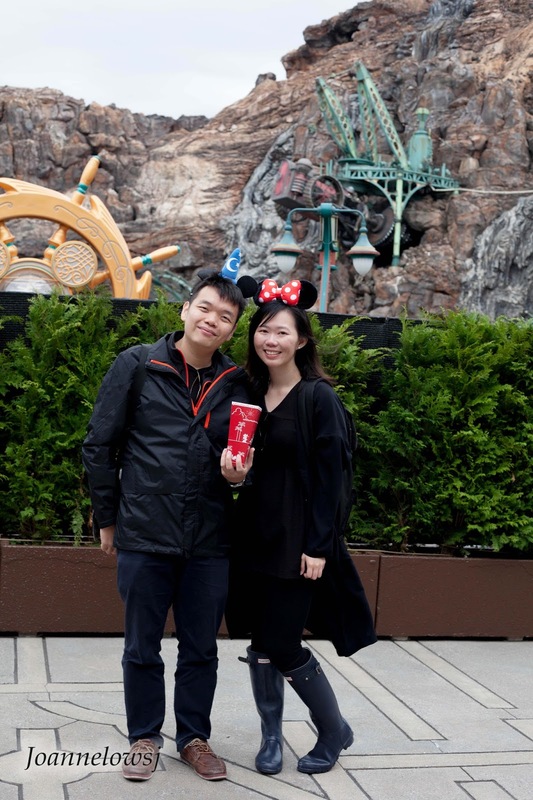 Although a little expensive, we love the flower tea as well as the desserts. Then, we took a stroll around the area before heading to Harajuku and Takeshita Market immerse ourselves in the Japanese culture. You will not miss the famous crepe cake and Calbee shop but one must not go home without trying the Churro. To end our night, we visited the popular Shibuya Crossing. Initial plan was to visit the highly rave and affordable Midori Sushi in Mark City. Sadly, the queue was very long and we end up returning to our neighborhood for cheap thrill sushi. Felt super excited in the morning as we pack for one of the highlight of the trip (well at least for me!) 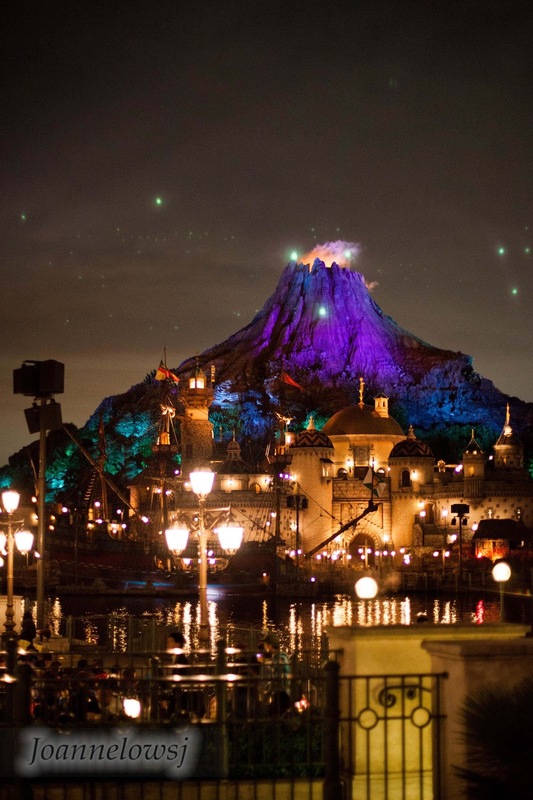 – Tokyo Disney Sea! Everything seems so pretty and magical there! I am sure that my parents had as much fun as I do! The only person who was not impressed was H. Nonetheless it was a nice day trip! One of my bucket list is off the list! 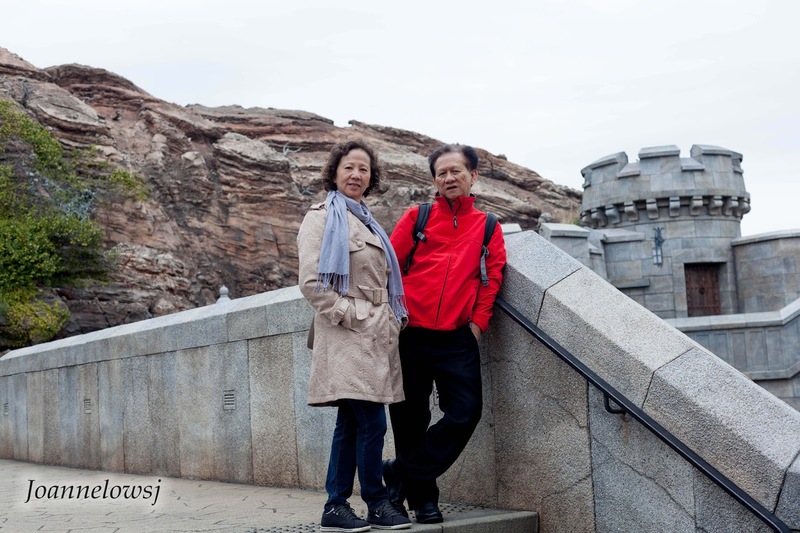 We managed to explore the entire park within a day so we weren’t sure if it is worth to buy 2 or 3 days pass. After spending our day in Disney and feeling famished, we head over to Nabezo at Shinjuku for Sukiyaki! A 90 minute eat-all-you-can buffet for 2500 yen. Not a bad deal right? Even the ala cart would cost around the same price. I love the wide range of vegetables they offer. Definitely will be back again! We skip the idea of visiting the Tuna auction in the morning because we were too tired. However being tired does not stop us from visiting Tsukiji Market for fresh sashimi & local goods in the morning. 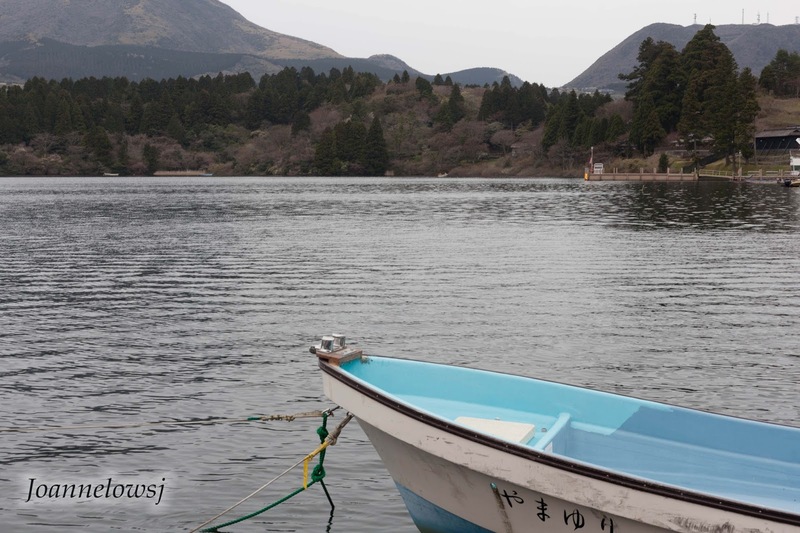 Mom was especially happy because she managed to get some Kombu – Japanese Kelp and Dry squid. Then, we visited Asakus Japanese old street for some snack and Sensoji Shrine. We were really lucky to be able to witness some simple ceremony going on. 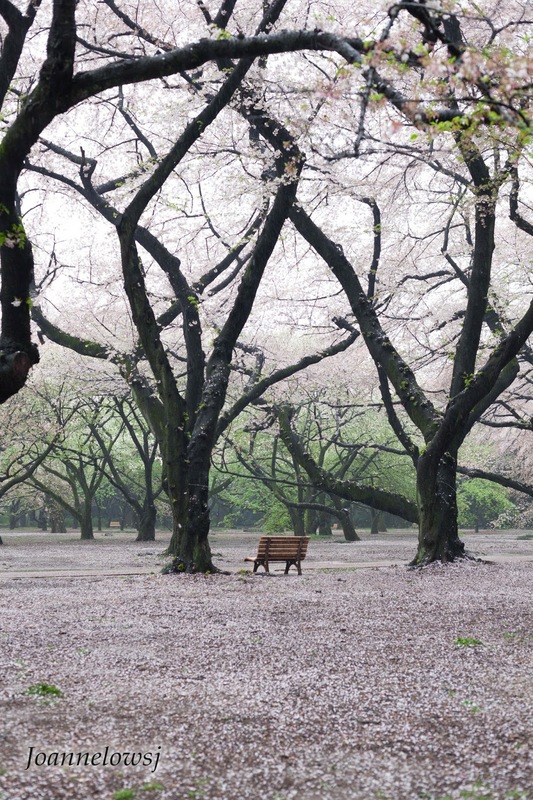 Before the sky turn dark, we head over to Ueno park for more Sakura viewing! We bought the snacks from Japanese Old Street and we were not the only ones. The park was pack with picnic-goer. 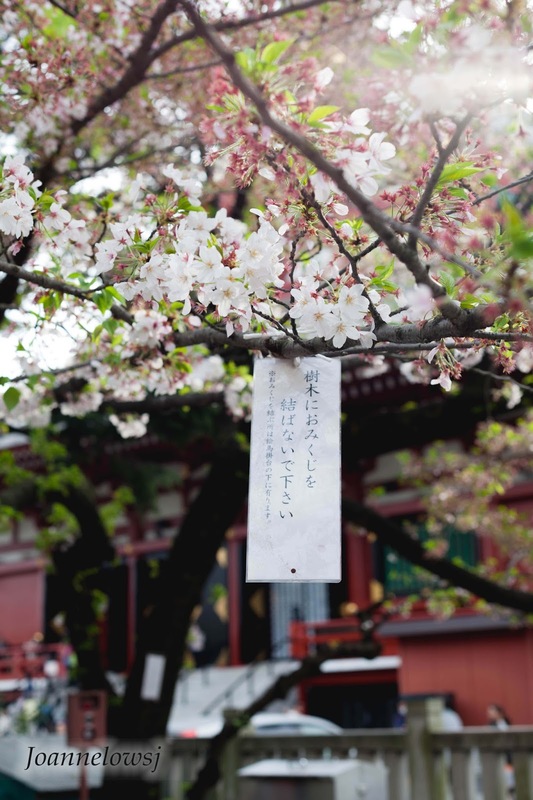 Although a lot of the Sakura had withered, the night lantern made up for it! End the night visiting Ichiran, the famous ramen in Japan! 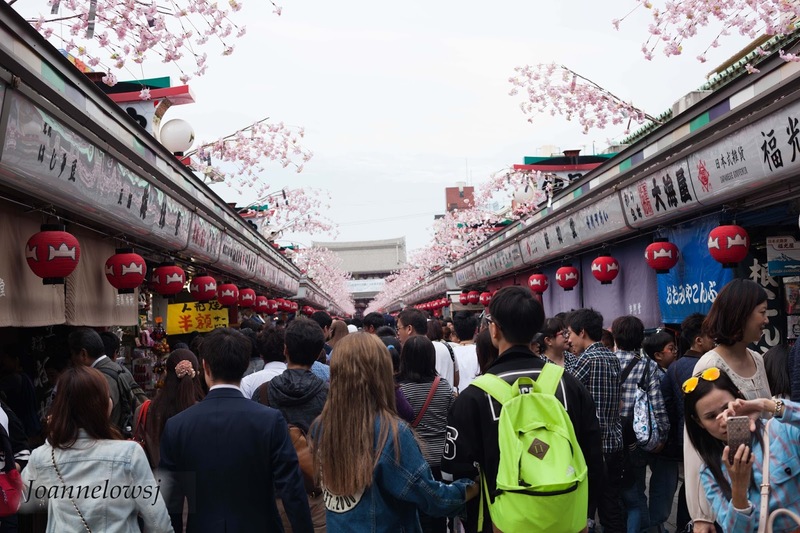 We visit the outlet at Ueno and was really lucky that the queue isn’t that long. Personally I am not a fan of ramen but this ramen is amazing! Easily one of the best ramen I had in my life. 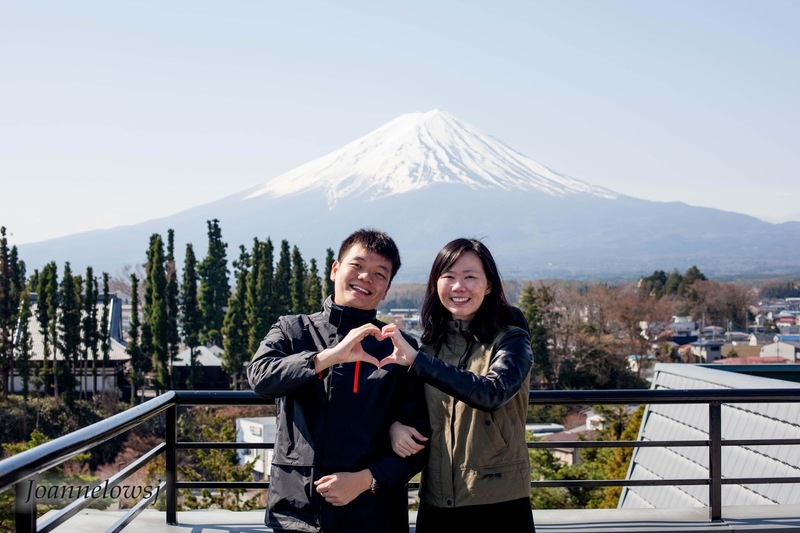 We purchase Hakone-Fuji Free Pass and took Romance car from Shinjuku to Hakone. 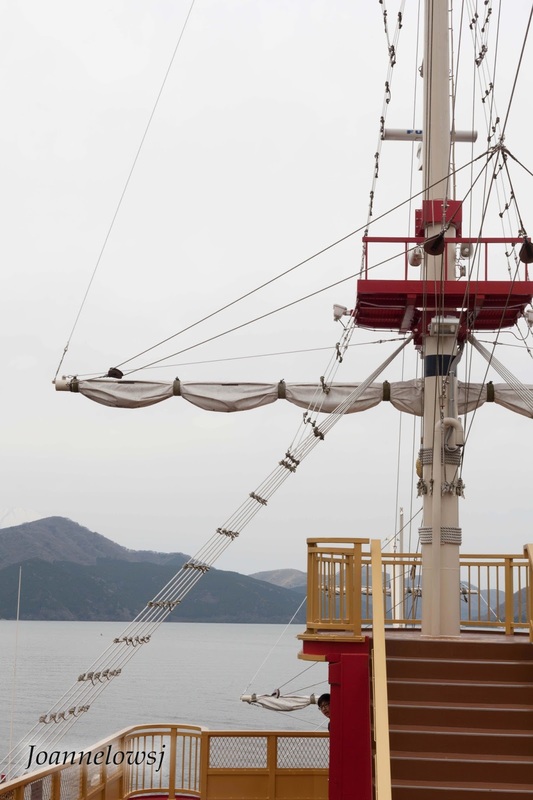 Hakone is a quieter place as compare to Tokyo and Mt Fuji. 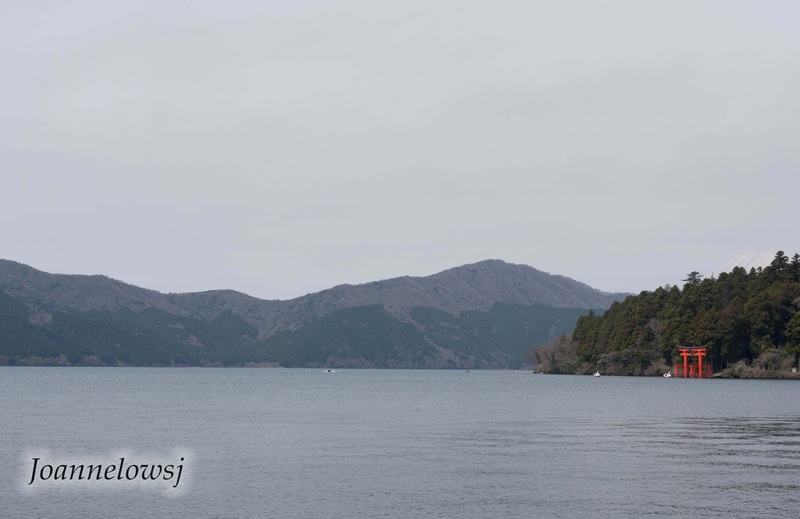 Upon arrival, the first stop was to Lake Ashi, the scenic lake in Hakone. 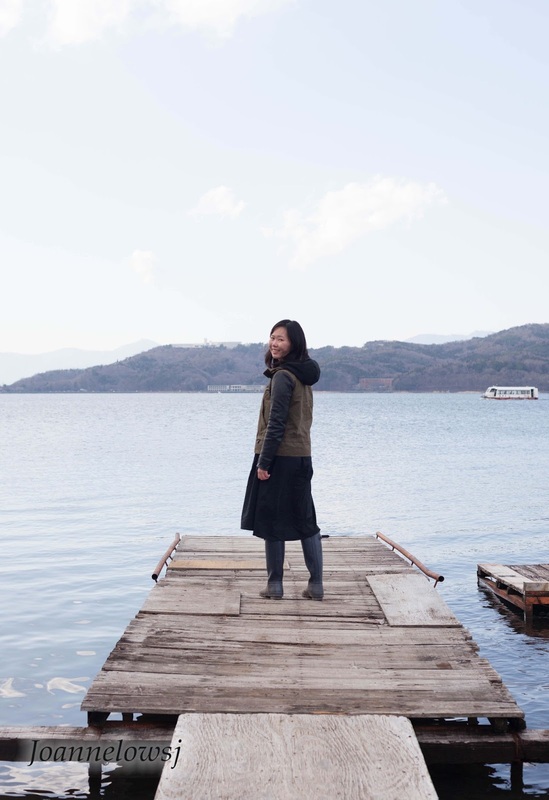 The lake is huge and beautiful. 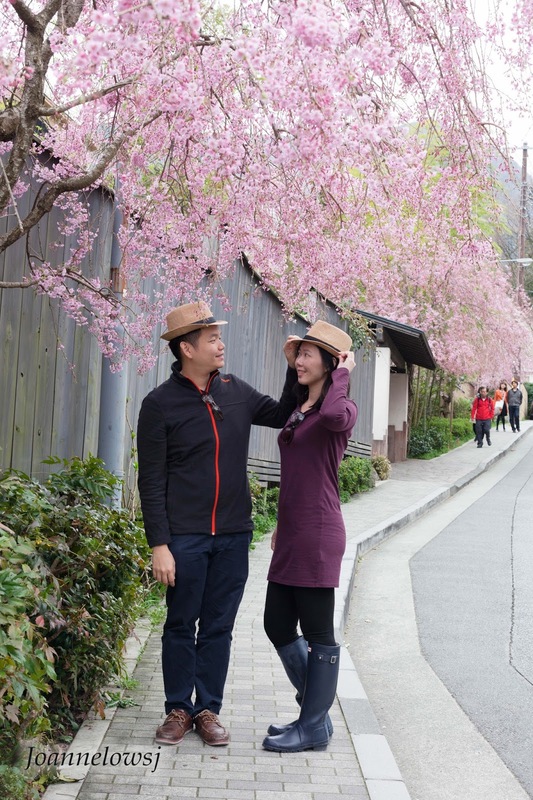 Then we walk over to Hakone Stone-Pave road before boarding Hakone sightseeing cruise. The cruise stop at Togendai and we took the ropeway for another sight-seeing from mid-air. Unfortunately, Owakudani Valley is closed while we were there. We end the late afternoon slurping tempura soba near Hakone-Yumato Station and took a bus back to our Ryokan. 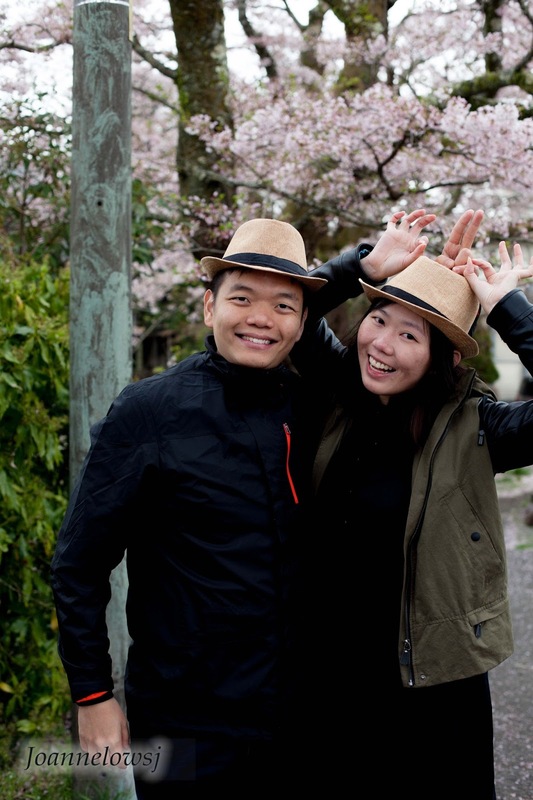 Before heading to Mt Fuji, we visited the Bank of Miyagino for more Hanami viewing! 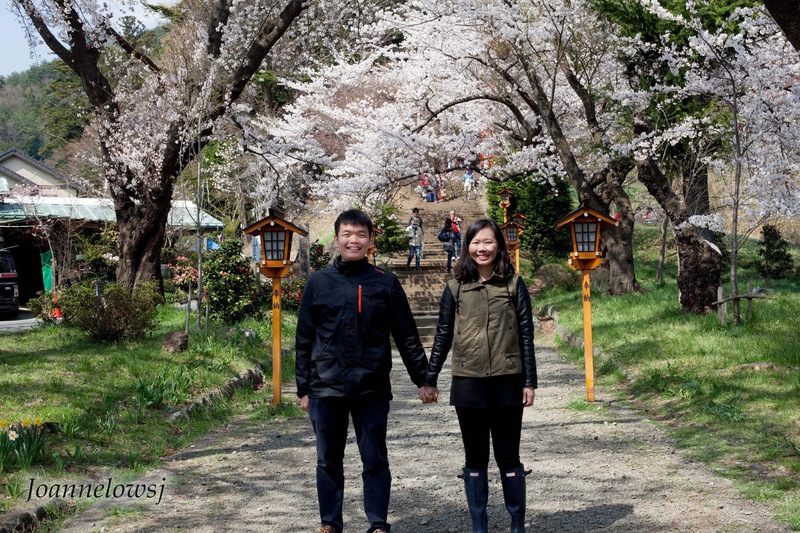 So thankful that H found this spot because there were not much Sakura in Hakone. That place was gorgeous! Set off to Kawaguchiko from Gotemba Station. 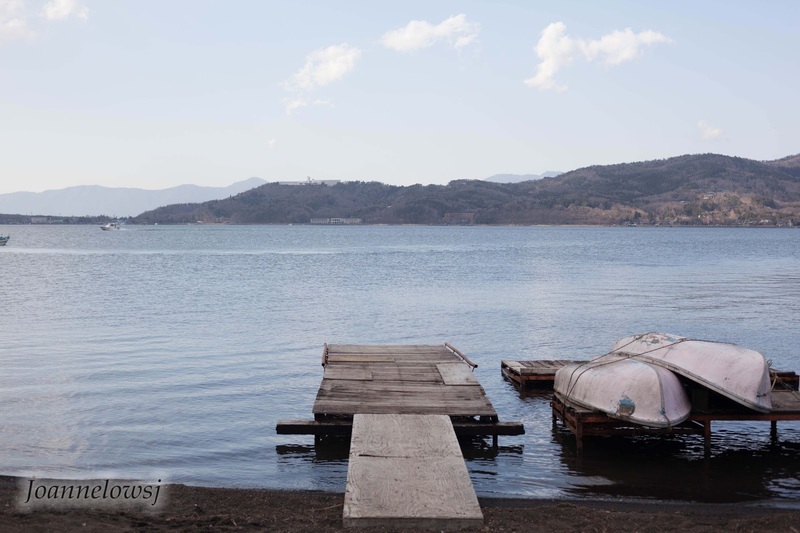 Before we set our foot at Kawaguchiko, we alight at Lake Yamanakako. This was a last minute decision and I’m glad we did it. We totally enjoy the short stopover. The lake is big and there were Swans! 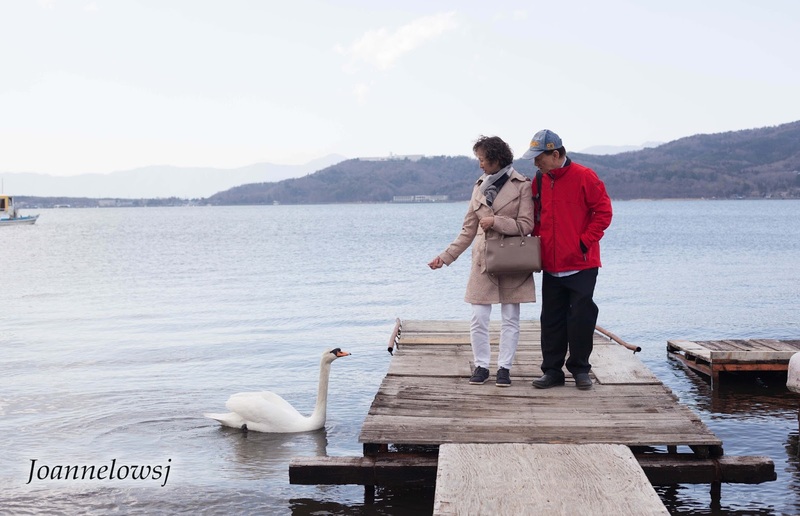 Surprisingly we were the only ones there and had the chance to have interaction with the Swan. End the night at Rykon, which was amazing! 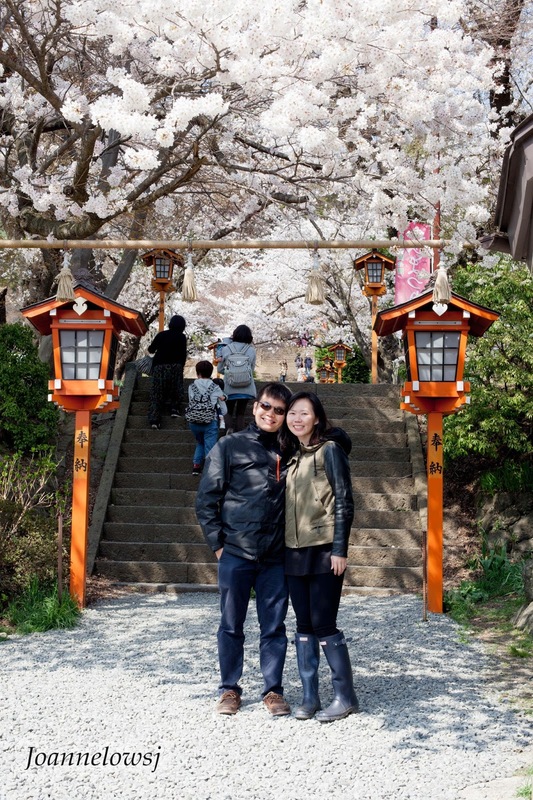 On our last day, We visited Kachi-kachi ropeway. Queue for an hour, got up the mountain and felt it was a huge disappointment. The clouds had covered Mt Fuji! So we had nothing to do there. Honestly speaking, the view from our Ryokan was much better. 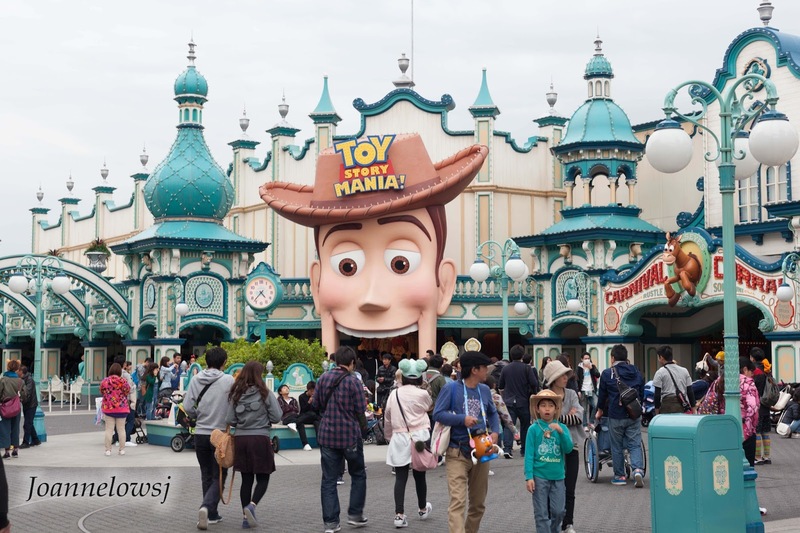 Then, we visited Arakurayama Sengen Park, which was much better than Kack Kachi. Sadly, we didn’t manage to walk up due to time constrain. Definitely will be back there next time. Took bus back to Shinjuku for last minute shopping in Odakyu Departmental Store and Takashimaya Departmental store before heading to Airport. 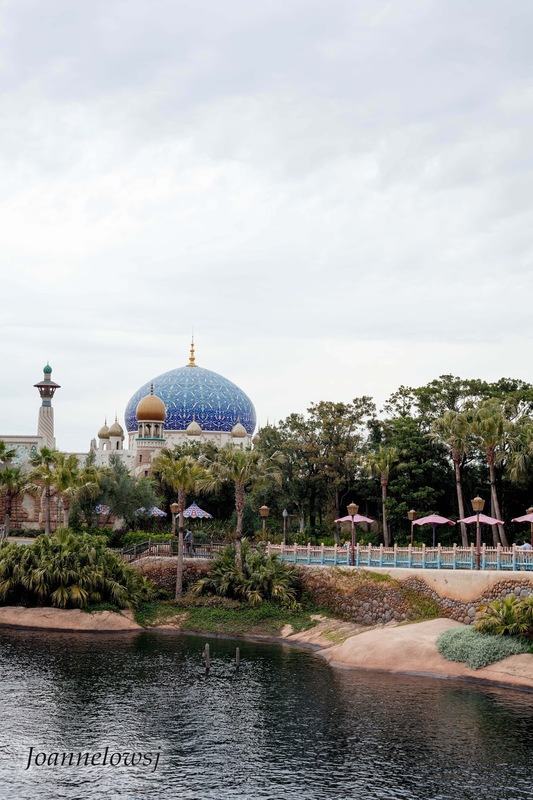 I will be sharing more details on this trip in the separate post, so be sure to head back for more! Hope it helps! 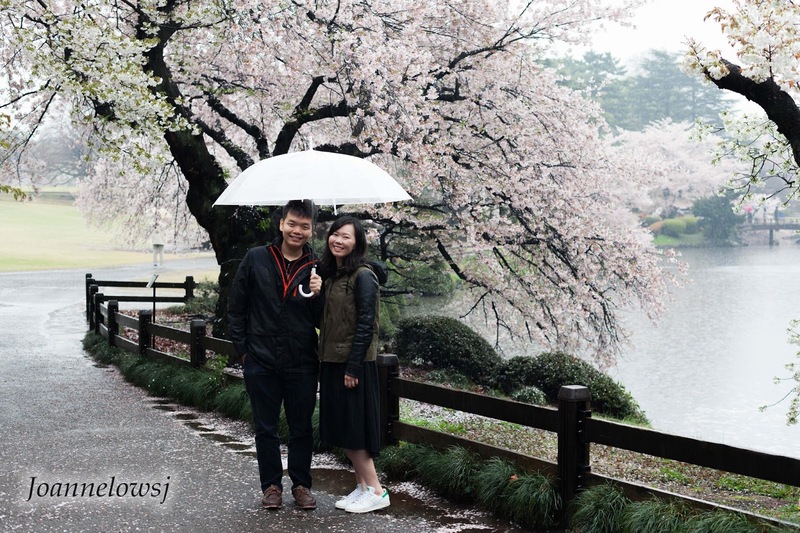 love your post on Japan's sakura visit! May I know what are the dates you visit Japan?